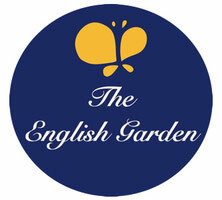 The Power of Music - Welcome to the English Garden! The easiest way of creating a harmonious balance of the mind and body for young learners is through music. In the area of the body, music moves our bodies. We are the only creatures on the planet that move to the beat of music. Some birds and animals can be trained in this, but in humans, it is an inborn “gift”. 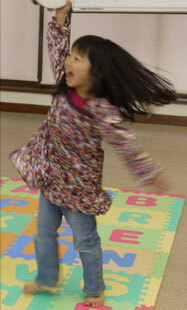 When children incorporate gestures and movement into their learning, they are in the process of active learning. In the area of the mind, music can relax us and help us to enjoy learning. New progressive ideas can flow. Music-based learning moves us to be more open and positive. The word enthusiasm comes from the greek words “en theos”, which means in God (in Spirit, in the power of the universe). We have amazing powers which we can tap into, and music serves as a bridge to help you strengthen and engage these amazing mental powers. And once again you have become HAPPY (Harmonious, Active, Progressive, Positive You). Music offers an abundance of learning opportunities for youngsters. When we look at the the word “music”, we begin to understand its possibilities. The most common definition, coined by Edgard Varese, is “organized sound” ; however, the Greek meaning of the word shows the real possibilities of music. In ancient Greece, the word mousike was used to mean any of the arts or sciences governed by the Muses. In the European middle ages, musica was part of the four essential subjects of mathematics. These four subjects were arithmetic, geometry, music and astronomy. The preparatory work was grammar, logic and rhetoric (speaking). These seven arts comprised the liberal arts education of the Renaissance and is the basis of liberal arts education as we know it. Music was considered to be one of the keys to unlocking the world around them. whoah this weblog is excellent i love reading your articles. Keep up the good work! You already know, many persons are hunting around for this info, you can aid them greatly. This paragraph is in fact a good one it assists new internet users, who are wishing for blogging. My spouse and I stumbled over here from a different web page and thought I might check things out. I like what I see so i am just following you. Look forward to looking over your web page yet again. My developer is trying to persuade me to move to .net from PHP. I have always disliked the idea because of the expenses. But he's tryiong none the less. I've been using WordPress on a variety of websites for about a year and am nervous about switching to another platform. I have heard great things about blogengine.net. Is there a way I can transfer all my wordpress content into it? Any help would be really appreciated! Right here is the right website for anyone who wishes to understand this topic. You realize a whole lot its almost tough to argue with you (not that I really would want to�HaHa). You definitely put a fresh spin on a topic that's been written about for many years. Excellent stuff, just excellent! Hello, for all time i used to check website posts here in the early hours in the break of day, for the reason that i enjoy to learn more and more. Link exchange is nothing else but it is just placing the other person's website link on your page at proper place and other person will also do similar in favor of you. If some one wants expert view on the topic of running a blog after that i propose him/her to visit this webpage, Keep up the good job.